While there is a growing international consensus that the best interests of the child must be respected by ending the practice of child detention, many countries around the world continue to place children in detention facilities. 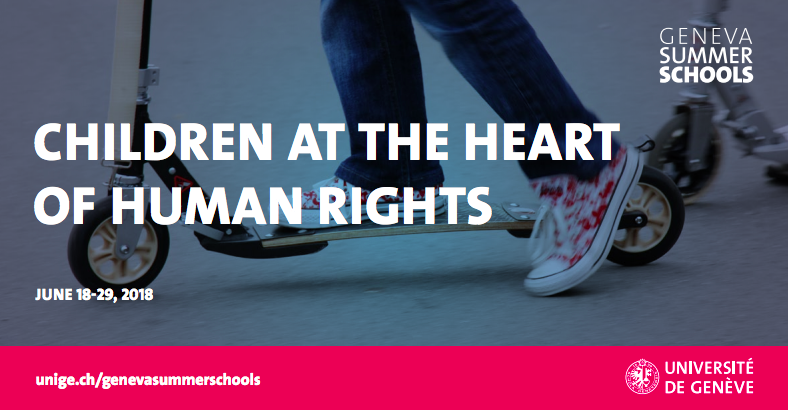 This week, the GDP’s Senior Researcher, Mariette Grange, spoke on the theme of children in detention at the Geneva Summer School “Children at the Heart of Human Rights.” An opportunity for students and young professionals to engage with leading experts in a dynamic interdisciplinary environment, the summer school provided academic and professional preparation experience for students interested in children’s rights and international human rights organisations. More information about the summer school is available here.